Relationship=2nd great-grandmother of Dean Blackmar Krafft. [S35] Adeline Hughes Hagerman, Hagerman Family Records. [S34] Memoirs of Enos K. Fluke, Typescript of 271 pages, 1932-1935 Dean Blackmar Krafft, p. 61. [S34] Memoirs of Enos K. Fluke, Typescript of 271 pages, 1932-1935 Dean Blackmar Krafft, p. 58. Relationship=5th great-granduncle of Dean Blackmar Krafft. [S224] Anita Silvey, "Aram Hagerman Family Group Sheet". Relationship=2nd great-granduncle of Dean Blackmar Krafft. Hamlin Hunt Hagerman was born on 11 July 1849. He died. He was the son of William Hagerman and Mary Bealby. Relationship=5th great-grandfather of Dean Blackmar Krafft. James Hagerman was born in November 1758 at Hunterdon, New Jersey.1,2 He was the son of Aram Hagerman and Phebe Swart.3 James fought in the Virginia Line during the American Revolution, enlisting in Loudoun County in 1775. His pension file included a long and detailed account of his service under Captain Triplett. But for many months, James saw no battle action at all, only skirmishes. At the end of the war, he guarded prisoners at Winchester. In 1818 James provided a list of his possessions: no land, 1 mare, 2 cows, tea kettle, a dutch oven, and bucket. All his worldly possessions were valued at $70. He was infirm and nearly blind at the end of his life. (Revolutionary War Pension File. # S-13313. National Archives. Copy.) James's son-in-law Mahlon Hatcher signed an affidavit that was included in the file. In the Pension Roll of 1841, James was still alive in April of 1840, residing with his son John J. in Williams County. Revolutionary War Pension File. # S-13313. National Archives. Copy. A. W. Fisher. History of Masters Corners, Fulton Co., Ohio. p. 14. Tombstone transcriptions of Rings Cemetery, p. 187. Letter from Richard Wynkoop. December 26, 1895. Copy. Loudoun County Court Minute Book. Vol. 14. Abstract. Estate of B. Hagerman. Loudoun Co., VA. Vol. U. Roll 59. VSA. Copy. Belmont Chronicle. June 20, 1859. Letter from Richard Wynkoop. January 15, 1896. Original. Marriage Record. Belmont Co., Ohio. Vol. B. p. 1. Copy. Primary, 1850 U.S. Census, Waltham, MA, National Archive Branch, Belmont Co., OH (Union) f. 1553. p. 471. M-432. Roll 616. Esther Weygandt Powell, Tombstone Inscriptions & Family Records of Belmont Co. Ohio (Akron, OH: Powell, 1969), p. 244. Civil War Pension File. # 186683. National Archives. Copy. E-mail message from Kevin Kelbaugh. February 25, 1998. Ohio 1860 Mortality Schedule. Microfilm T 1159. Roll 29. OU. Athens, OH. Esther Weygandt Powell, Tombstone Inscriptions & Family, p. 137. Letter from Adaline T. (Barnes) Hatcher. December 15, 1895. Copy. Vogt and Kethley. Loudoun County Marriages 1760-1850. Iberian. p. 96. Ohio Records and Pioneer Families. Vol 17. p. 98. Richland County, Ohio Cemetery Records. 1981. OGS. p. 409. Transcription of tombstones in Rings Cemetery, p. 187. A. W. Fisher History of Masters Corners, Fulton Co., Ohio. p. 14. [S307] Revolutionary War Pension File, S13313; James Hagerman of Va.; Pension records April 6, 1818-July 15, 1820, National Archives and Records Administration, states he was born in New Jersey in 1758. Relationship=3rd great-granduncle of Dean Blackmar Krafft. HAGERMAN, JAMES O., farmer; P. O. Mansfield; he was born in Belmont County in 1811, four years after his parents came to this county; he remained at home until 18 years old, when he went away to learn the carpenter trade; he followed that occupation until about two years ago, when his age prevented him from pursuing it farther. He is now 69 years old, and has raised a family of eleven children, four of whom are married; he sent two sons to the army in the late war, one of whom died there of typhoid fever; the other served his full term of three years; he was wounded in the arm while in the service; both the boys were in the 15th O. V. I; Mr. Hagerman's father served in the war of 1812, under Gen. Harrison; in following an old Indian trail that led to Fort Mackinaw; he thought at one time, while on the march, if he had 100 Gores of land as fine as he then viewed, it would be all he would want; in 1815, he entered that same land, and built his cabin there; Mr. H.'s house now occupies the site; this same year his father brought his family out; he died in 1822, leaving the family in the care of his wife and James; he aided his mother in their care, and now in his old age, sees with pleasure the work of, a long and busy life.2 James Osbun Hagerman was born on 15 June 1811 at Belmont Co., Ohio.1 He died. He was the son of Joseph Hagerman and Sarah Osbun. [S37] IGI - LDS Member Sheets;. [S98] A.A. Graham, History of Richland County, p. 912. Relationship=4th great-granduncle of Dean Blackmar Krafft. Relationship=4th great-grandfather of Dean Blackmar Krafft. Oliver Summers Hagerman was born on 6 February 1847. He died. He was the son of William Hagerman and Mary Bealby. Relationship=4th great-grandaunt of Dean Blackmar Krafft. Relationship=3rd great-grandfather of Dean Blackmar Krafft. HAGERMAN, WILLIAM, farmer; P.O. West Windsor. The parents of Mr. Hagerman emigrated to Harrison Co., Ohio, from Virginia in 1815; soon after that, they came to this county where they continue to reside. His father, Joseph Hagerman. served in the war of 1812, under Gen. Harrison; Mr. Hagerman was born the same year his parents came West; his father died when he was but 3 years of age, and he was in consequence deprived of his care, and could get but little time to attend schools. He was always in school when he could attend, and enjoyed the sports of the juveniles then with a hearty relish. He had often participated in " barring out " the teacher, a practice then much in vogue. He was also quite a hunter in his day, and could trap and hunt with any one. His mother brought up the family as well as the circumstances of the times and her situation would permit. He had five brothers and sisters; he remembers an incident of his brothers which is worth preserving: Coming home from one of the neighbors one day, he saw in a clearing an old chestnut stump, thirty or forty feet high, one of whose topmost snags had been set on fire by some means. The boy imagined the fire to be the devil, and ran home as fast as his legs could carry him, to narrate the news and get the gun, with which to dispatch his majesty; his mother, however, quieted him and dispelled the illusion, though the boy stoutly affirmed for some time he was not mistaken. When Mr. Hagerman was 18 years old, he was apprenticed to the carpenter's trade; after learning it, he married Mary Bealby in 1844; her parents emigrated to this county from England in 1824; soon after he married, Mr. Hagerman moved to the farm he now owns, which he has highly improved, and made a comfortable and convenient home; Mr. and Mrs. Hagerman have raised six children, five boys and one girl, of whom four are married; one son, Oliver Hagerman, was in the war of the late rebellion, in the 100-days service. 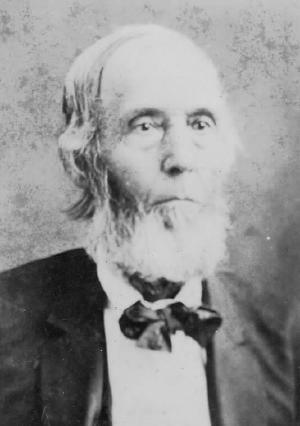 William Hagerman has been honored with the office of Justice of the Peace twice, and with the Treasurer of the township.2 William Hagerman was born on 9 January 1817 at Richland Co., Ohio. He was the son of Joseph Hagerman and Sarah Osbun. William Hagerman married Mary Bealby, daughter of (?) Bealby and (?) (? ), on 7 November 1841 at Richland Co., Ohio. William Hagerman died on 9 April 1890 at age 73. He Farmer and good carpenter. Children are named for Methodist ministers. He (Research):From Richland Co., OH USGenWeb page on 12/31/98: HAGERMAN --- William HAGERMAN .... Son of Jospeh HAGERMAN. His parents emigrated to Harrison County, Ohio, from Virginia in 1815. Soon afterwards they came to Richland County where they continue to reside. Mr. HAGERMAN was born the same year his parents came west. Married Mary BEALBY in 1844. This is a summary of a biography found in: History of Richland County, Ohio... published in 1880 by A. A. Graham & Company, Mansfield, OH. This book is held by the Richland County Genealogical Society, P.O. Box 3823, Mansfield, OH 44907-0823. Relationship=5th great-grandaunt of Dean Blackmar Krafft. [S172] Jr. Benjamin J. West, History of the West and Mitchell Families, p. 18. Relationship=5th great-grandmother of Dean Blackmar Krafft. Nancy Haley was also known as Ann Hailey.1 She was born on 21 September 1763 at Cecil, Maryland.1 She was the daughter of William Haley and Elizabeth Henrietta Forrester. Nancy Haley married Rev. Edward Mitchell, son of James Mitchell and Mary Pryor, on 26 August 1784 at Charlestown, Cecil, Maryland.2,3 Nancy Haley and Rev. Edward Mitchell moved to On James River, 5 miles from the Natural Bridge, Botetourt, Virginia in 1787.3 Nancy Haley died on 19 December 1851 at St. Clair, Illinois, at age 88. She was buried at Mitchell Family Cemetery, Amann Farm, 3280 Mascoutah Avenue, Belleville, St. Clair, Illinois. [S64] Edward Mitchell, Photocopy of original file, W23991, Copy of Edward Mitchell's Bible by his son James Mitchell. [S64] Edward Mitchell, Photocopy of original file, W23991, Affidavit of Ann Mitchell, Widow on June 8, 1850. [S172] Jr. Benjamin J. West, History of the West and Mitchell Families, p. 17. Relationship=6th great-grandfather of Dean Blackmar Krafft. [S65] Unknown applied to, unknown subject, Mrs. Gertrude Garland Reece - DAR ID Number: 81249. [S65] Unknown applied to, unknown subject, Mrs. Eleanor Florence Cupp Rawlings - DAR ID Number: 103806. [S223] Craig Bryant, 1 Feb 2003. [S249] Everett S. Stackpole, History of Winthrop, p. 407. [S249] Everett S. Stackpole, History of Winthrop, p. 609. [S257] David Thurston, History of Winthrop, p. 221. Relationship=7th great-grandfather of Dean Blackmar Krafft. [S243] Unknown subject, NE Marriages, HALL, Benjamin & Sarah FISHER; 9 Jan 169-, 1691/2, 1692; Wrentham. Relationship=8th great-grandfather of Dean Blackmar Krafft. [S243] Unknown subject, NE Marriages, HALL, Edward (-1670) & Esther/Hester _____, m/2? Thomas JORDAN 1674; by 1651; Braintree/Duxbury/Taunton?/ Bridgewater?. Relationship=10th great-grandmother of Dean Blackmar Krafft. Elizabeth Hall was born in 1602 at England.1 She married Francis Godfrey in 1621 at England.1 Elizabeth Hall died. [S68] Ancestry World Tree, Ancestry.com, Dec 22, 1998. Relationship=8th great-grandmother of Dean Blackmar Krafft. Ellenor Hall married Henry Hornbuckle, son of Henry Hornbuckle and Margery (?). [S249] Everett S. Stackpole, History of Winthrop, p. 407-8. [S250] Frederick Clifton Pierce, Descendants of John Whitney, p. 35, #167: Abigail4 WHITNEY was born 22 May 1708, according to Wrentham vital records. Her marriage to Preserved HALL occurred on 10 Sep 1729, not 20 Sep 1729, according to Wrentham vital records. They had nine children recorded in Wrentham..
Relationship=20th great-grandmother of Dean Blackmar Krafft. [S222] Frederick Lewis Weis, Ancestral Roots, 7th ed., line 16, p. 20. Warren Clement Hamburg was born on 17 November 1899. He married Irene Louise Krafft, daughter of Edwin James Krafft and Jennette Cordelia Dean, on 12 September 1923. Warren Clement Hamburg died. [S217] John Julian Lawton, The Seamans Family in America, p. 3, 10. Jane Hardin married WIlliam Lucullus Hornbuckle, son of William Hornbuckle, in 1770 at Calloway Co., Missouri. [S39] Customer pedigree, World Family Tree Vol. 3, Ed. 1. Thomas Harlock married Sarah Marchant, daughter of John Marchant, on 16 November 1696 at Edgartown, Dukes, Massachusetts. Aaron Harrington was born in 1710 at West Quadomset, Rhode Island. He was the son of Ebenezer Harrington and Rebecca (?). Aaron Harrington married Abigail Chilson on 10 January 1734 at Smithfield, Providence, Rhode Island. Aaron Harrington died circa 1772. Relationship=9th great-grandfather of Dean Blackmar Krafft. Benjamin Harrington was also known as Benjamin Hearnden. He was born say 1620. He was christened in 1624. He married Elizabeth White, daughter of William White, between 1640 and 1649.1 Benjamin Harrington died on 18 April 1694 at Providence, Providence, Rhode Island. He was buried at North Burying Gr, Providence, Providence, Rhode Island. [S243] Unknown subject, NE Marriages, HEARNDEN, Benjamin (-1687) & Elizabeth [WHITE], m/2 Richard PRAY 1688±; by 9 Jul 1647; Lynn/Providence. Ebenezer Harrington was born on 21 June 1681 at Providence, Providence, Rhode Island. He was the son of Joseph Harrington and Sarah (?). Ebenezer Harrington married Rebecca (?) circa 1716. Ebenezer Harrington died. [S243] Unknown subject, NE Marriages, HEARNDEN, Joseph (?1652-1694) & Sarah _____; by 1675; Providence. Relationship=4th great-grandmother of Dean Blackmar Krafft. Patience Harrington was also known as Patience Herendeen.1 She was born in 1759 at Smithfield, Prov, Rhode Island. She was the daughter of William Harrington and Berthia Peters. Patience Harrington married Jeremiah Wilbur, son of Jeremiah Wilbor and Mary Smith, at Smithfield, Rhode Island. Patience Harrington died on 28 November 1807 at North Adams, Berkshire, Massachusetts. She Alt Name: Patience Smith. [S66] Compilers John Reid Wilbor and Benjamin Franklin Wilbour, The Wildbores in America, p. 153-154. William Harrington was born on 16 October 1738 at Smithfield, Providence, Rhode Island. He was the son of Aaron Harrington and Abigail Chilson. William Harrington married Berthia Peters, daughter of William Peters and Abigail (? ), on 5 April 1756 at Smithfield, Prov, Rhode Island. William Harrington died before 1800 at Danby, Rutland, Vermont. [S192] San Francisco Marriage Records, online http://www.sfo.com/~timandpamwolf/sfmar_k.htm, cites San Francisco Daily Morning Call, 23 July 1879 and Alta California, 23 July 1879. Relationship=11th great-grandmother of Dean Blackmar Krafft. [S323] Editors of the NEHGR, "Payne Family", p. 331-332. Relationship=12th great-grandfather of Dean Blackmar Krafft. Relationship=1st cousin 2 times removed of Dean Blackmar Krafft. Frederick Philip Hart was born on 17 July 1889. He died. He was the son of James Wesley Hart and Anna Patten Hayne. 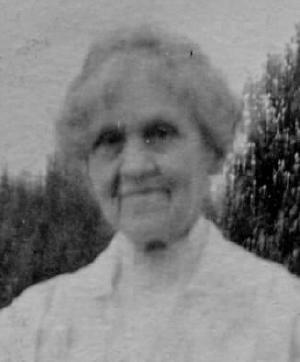 [S49] Anna Patten Hayne, Anna Hayne genealogy.